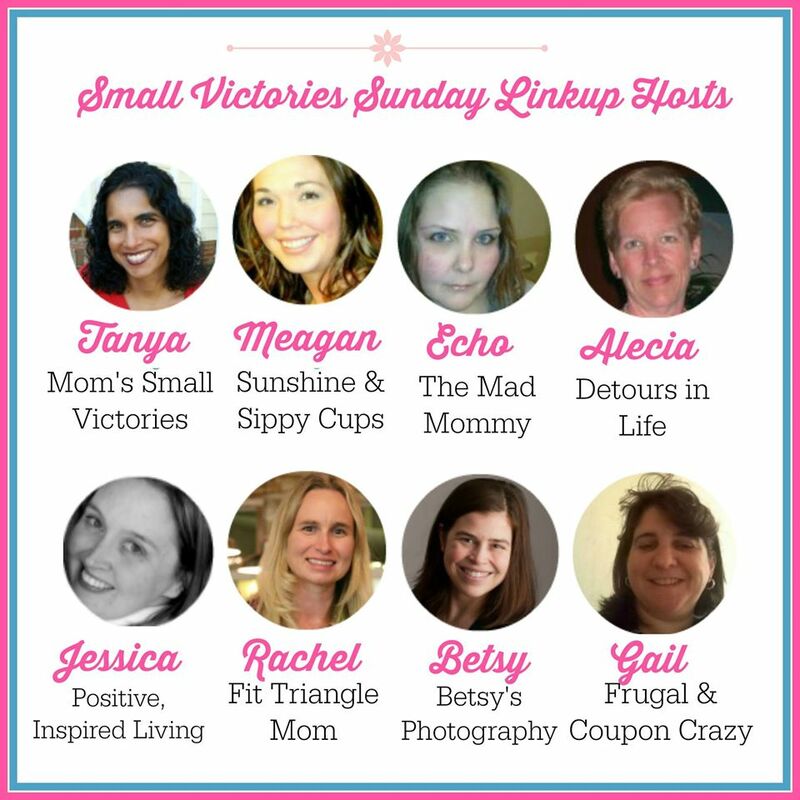 Welcome to our Small Victories Sunday Linkup, now partying on 8 blogs! This weekly linkup is designed to linkup your BEST posts that inspire others to read, cook, craft, live well and blog well. Share with us anything that will help others live a happier and healthier life. Sunday is a wonderful day to reflect and celebrate the week that passed and look forward to the week ahead. Our linkup is open all week long so feel free to stop by anytime, it’s never too late to linkup with us. If you need writing prompts or to see past linkups, visit our main Small Victories Sunday Linkup page. The featured blogger this week is Always Savory and her post about the health benefits of cantaloupe plus a delicious recipe for cantaloupe ice cream. I love cantaloupes, so I know this cantaloupe ice cream recipe is going to taste fantastic. Be sure to visit my Featured Blogger board on Pinterest. Home & Blogging: It’s been another busy week at our home, yet we all enjoyed the beautiful spring weather. We’ve been playing outside too. Just this past weekend, we grilled hot dogs with the neighbors. I’m looking forward to many more cookouts and get togethers with our friends this summer. I started a new blogging series called Featuring that like the name implies features a local mom sharing her business, fitness or health goals, a cause or simply a story. My first Featuring mom was Allison Wasko of KidDilly. I’m currently recruiting people for Team Fit Triangle Mom for the Komen Race for the Cure held in Raleigh on June 13. My goal is to raise $3,000 by partnering with local businesses, selling team t-shirts and asking for donations. If you are local, I would love for you to join the team as a runner or walker. If you are unable to attend, you can donate to this wonderful cause. Click Here to learn how to get involved. Now It’s Your Turn to Share Your Favorite Posts and Small Victories! Grab this image & code! Linkup Rules: * Following your hosts is not required but appreciated! *Grab the Small Victories Sunday button and place it in your sidebar or the post you are linking up. *Share up to 3 of your favorite blog posts you want to share. Enter your link below and let’s celebrate our small victories together! *Please visit at least 2 others for every link you enter. This linkup only works if we support one another, your visits are crucial to fellow participants. *By linking up, you are giving the hosts permission to share your post on their social media pages to let others know of your awesomeness too! *By linking up, you are giving the hosts permission to email you notifications when the linkup is open. Your email addresses are not shared and you can unsubscribe to emails at any time. *Stop by our Small Victories Sunday Linkup Board on Pinterest and like and repin the posts to your boards. *Spread the word! The more you share about the linky, the more visitors you will get to your content too. Please use the #SmallVictoriesSundaylinkup hashtag so we can find your posts and share them too!